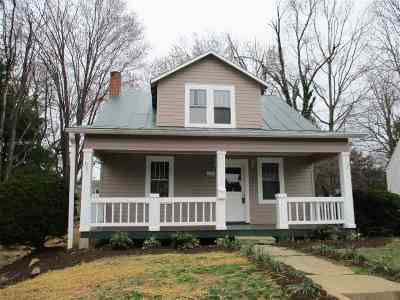 Great starter home convenient to downtown Waynesboro and WHS. 3 bedroom and 1 1/2 baths with partially finished basement or rec room, hardwood floors, laundry room 13x7 foyer and rocking chair front porch. Large partially fenced backyard with 8x12 storage building. Will not last long, call today!